JustaBXgirl has recently decided she is going to be a gamer girl. Now she hasn’t said this in so many words but more and more she’s asking JustaBXgrandpa to play video games with him. Now JustaBXgrandpa prefers to play shoot ’em up army type games so I’m always worried about what I will walk into JustaBXgirl playing. So far JustaBXgrandpa has respected that I don’t want her playing games with guns (she’s also not allowed to play pretend games with guns – a story for another post). She usually plays quests or building type games or sports games with her cousins. 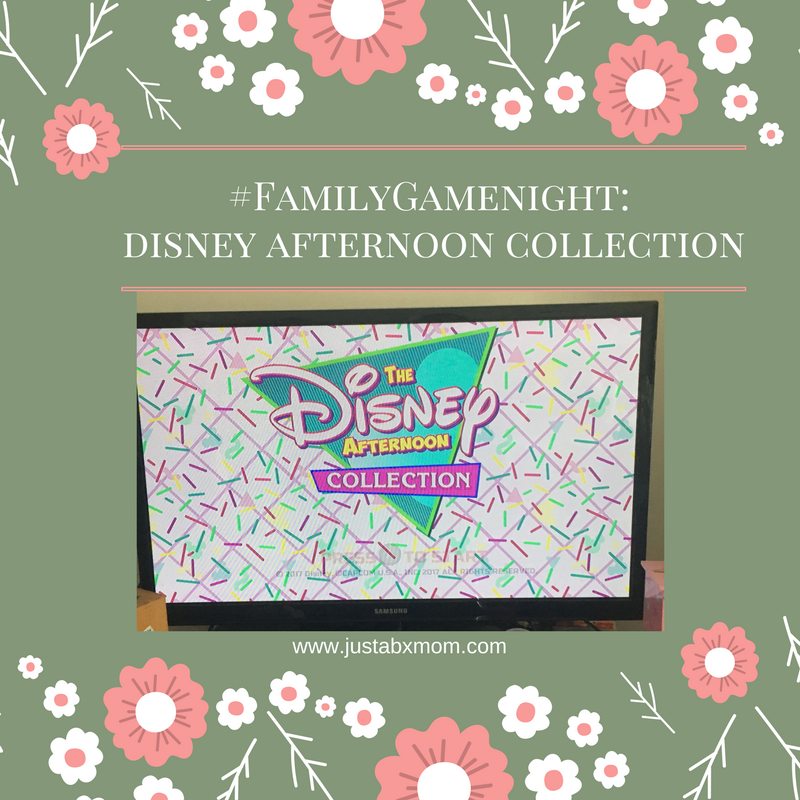 I was really excited when we received a download code for The Disney Afternoon Collection. It gave JustaBXgirl a new type of game to try out and it gave me flashbacks to being a kid enjoying not only these games but the cartoons as well. We received this download for review purposes. As always all opinions are honest and solely those of myself and JustaBXgirl. Trust me, JustaBXgirl was giving me serious side eye as I started singing the Ducktales theme song. The collection comes with six non-remastered games that originally debuted on the NES some time between 1989 – 1994. Included titles are DuckTales – 1989, Rescue Rangers – 1990, TaleSpin – 1991, Darkwing Duck – 1992, DuckTales 2 – 1993 and Rescue Rangers 2 – 1994. I made JustaBXgirl giggle when I told her that some of the games were older than her uncle. If you’re an 80s (or earlier) baby you will get a kick from this blast from the past. I was worried that JustaBXgirl wouldn’t be that into the 8-bit imagery but it had her attention. The first time we played we didn’t even get to try out all of the games because she was enthralled with the ones we were playing and I still limit her time on the gaming system. Now, don’t worry if you beat the original versions of the six included games because Capcom has thrown in a few new play modes like Boss Rush, Time Attack, and Rewind to keep things fresh. Personally, I’m still trying to stay alive in the original versions (I think JustaBXgirl is better at these things than I am). This Capcom game is available for the X-Box One, PS4 and Microsoft Windows. Did you play any of these as a child? Did you watch the cartoons? Which was your favorite?